M.N. 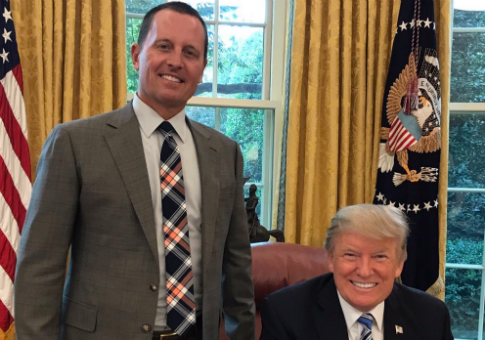 : Bravo, Mr. Grenell! You must be doing something right if they all scream about it like mad hatters. Their true emotions and attitude are coming out. Keep it up, you do have everybody's support, we admire you. Our dear German friends better start developing some deeper insights about their existential "been thrown into the World", otherwise thrown they will be, again. "As Dasein, I ineluctably find myself in a world that matters to me in some way or another. This is what Heidegger calls thrownness (Geworfenheit), a having-been-thrown into the world." Grenell was the communications interface with President Donald Trump and in the present circumstances "this was needed more than ever before," Nouripour told the Neue Osnabrücker Zeitungnewspaper. Richard Allen Grenell (born September 18, 1966) is the current United States Ambassador to Germany. He was previously the longest serving U.S. spokesman at the United Nations. 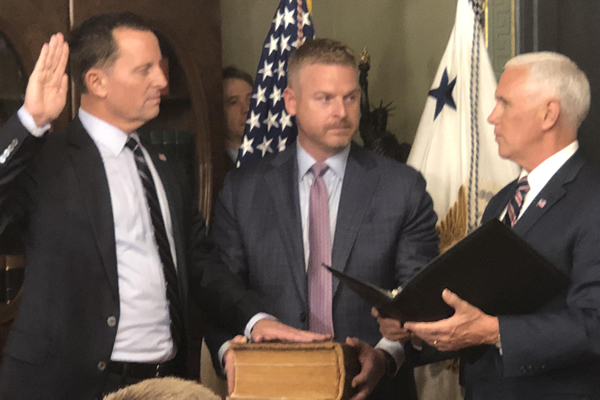 Grenell also briefly served as national security spokesman for Mitt Romney in his 2012 campaign for President of the United States, becoming the first openly gay spokesman for a Republican presidential candidate. In September 2017, President Donald Trump nominated Grenell as U.S. Ambassador to Germany.He was confirmed by the Senate by a vote of 56–42 on April 26, 2018. He presented his credentials to the President of Germany on May 8, 2018. German Defense Spending Is Falling Even Shorter. The US Isn't Happy. A photo of one letter seen by CNN which was sent directly to Richard Grenell in January told him to leave Germany or he would be killed. U.S. Envoy to Germany Attacks U.N. over Sustained Anti-Israel 'Bigotry' ... out Monday by Richard Grenell, the U.S. ambassador to Germany. » Michael Novakhov - SharedNewsLinks℠: Morning Coffee: Deutsche Bank hires a guy who knows where the bodies are buried. And theme tunes for banks! » Trump News TV from Michael_Novakhov (11 sites): FoxNewsChannel's YouTube Videos: Who's the face of the Democratic Party? 4 из 4 | Слева направо: Президент Всемирного еврейского конгресса Рональд Лаудер, главный раввин России Берл Лазар, глава Федерации еврейских общин России Александр Борода. M.N. : The German politicians' tone, the Merkel's ridiculous, clearly hypocritical, grandiose pronouncements and the pretenses to become the center of the World leadership in human rights and other areas, and the open hostility to America " had long been inappropriate to relations between close allies", and more than that: this tone and actions are dangerous to the present Global Security arrangements and structures. Put the nationalistic, passive-aggressive, filled with the historical rage, revanchist Germany firmly in her place, until it is too late, and until this situation leads to the next historical catastrophe. 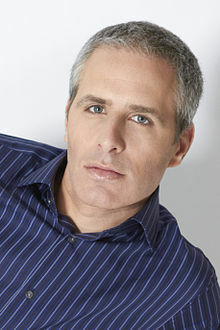 I think that the "Trump Affair" was manufactured and designed by the German Intelligence Services, and very possibly by the resurgent New Abwehr; and this affair was implemented by their witting, half-witting, or unwitting proxies: Russian-Israeli Jewish Oligarchs and the Global Mafia, of which the today's Russian State became a part of, as the "Mafia State". This hypothesis has to investigated and explored very thoroughly. "Grenell's tone had long been inappropriate to relations between close allies, Schneider said, charging the ambassador with failure to recognize Germany's contribution within the alliance, in Afghanistan for example. "Mr Grenell is harming transatlantic relations with his repeated heavy-handed remarks," he said." 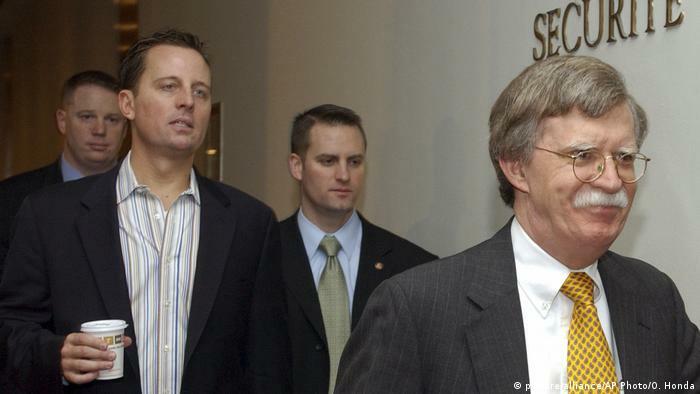 U.S. President Donald Trump's combative envoy to Germany, Richard Grenell continues to draw fire from German officials for trying to intervene in the country's affairs. "Mr Grenell is a total diplomatic failure," Carsten Schneider, head of the Social Democratic Party (SPD)' s parliamentary caucus, told the dpa in Berlin after ambassador Grenell criticized Berlin's decision to move more slowly toward the NATO spending target of 2 percent of gross domestic product. Grenell's tone had long been inappropriate to relations between close allies, Schneider said, charging the ambassador with failure to recognize Germany's contribution within the alliance, in Afghanistan for example. "Mr Grenell is harming transatlantic relations with his repeated heavy-handed remarks," he said. Grenell has also faced criticism for his handling of U.S.-German disagreements over trade, a 2015 Iran nuclear deal and the Russian-led Nord Stream 2 gas pipeline. The envoy last week warned German Economy Minister Peter Altmaier in a letter that security concerns could throttle U.S. intelligence sharing with Berlin if Huawei got a role in Germany's 5G next-generation mobile infrastructure. Michael Grosse-Broemer, a conservative leader in parliament, said Germany was competent to address its own security, adding, "There is no need for pointers from the U.S. ambassador." Grenell also sparked controversy in Germany when he warned German firms to start closing down their business operations in Iran. "Political smoothness is not his thing and he's proud of that. You could say he was the most undiplomatic diplomat Washington ever had here," said Ruediger Lentz, executive director the Aspen Institute Germany. And the release underlines that various investigations that are penetrating deep into Trump's business, personal and political life are likely to be haunting the President for years to come -- even after Mueller has left the stage. Eighteen-and-a-half blacked-out pages at the end of one document under the title "The Illegal Campaign Contribution Scheme" almost certainly contain details of Trump's interactions with Cohen. That prosecutors from the Southern District of New York believe those elements need to be kept out of the public eye suggests that their investigations -- which have already indirectly implicated Trump -- are not over. "They are not done. We have seen this in filings over and over again," Preet Bharara, a former US attorney for the Southern District of New York, told CNN's Jake Tapper. Some legal observers see the work of the Southern District as Trump's most perilous legal front, even more so than Mueller's look at whether there was coordination between Trump campaign aides and Russia and whether the President obstructed justice to cover it up. "If I was Donald Trump, I would be scared," Democratic Rep. Ted Lieu of California, who sits on the House Judiciary Committee, said on CNN's "The Situation Room." The fact that prosecutors have already endorsed Cohen's statement that he made the payments in violation of campaign finance laws at the direction of Trump means "there may be another shoe to drop," said Bharara. "There may be other people who are assisting or who are conspiring, up to and including the President, and they haven't decided how they want to proceed on that," he added. Tuesday's documents also contain more evidence that Trump associates, in this case Cohen, appeared to have at least indirect connections to powerful Russians. Vekselberg is an oligarch -- with ties to Russian President Vladimir Putin -- who is under US sanctions regarding election interference. Methods used by investigators to track Cohen, including state-of-the-art techniques targeting Apple devices, and the revelation of their sweep through the lawyer's emails and telephone communications may fuel Trump's fury about what he sees as the special counsel's "witch hunt." The documents show that Mueller had shown probable cause that Cohen had committed a crime to obtain warrants for two email accounts as far back as the summer of 2017, nine months before FBI agents acting on behalf of New York prosecutors raided Cohen's office and residences. , revealing his complicated financial relationship with Deutsche Bank. Given the avalanche of revelations, it's not surprising that the President is sometimes prone to isolated outbursts of fury directed at Mueller. "THIS SHOULD NEVER HAPPEN TO A PRESIDENT AGAIN!" Trump tweeted out of the blue on Saturday. Tuesday's revelations also provided the context against which the President stood in the White House Rose Garden and claimed the real "collusion" in US politics was between social media companies opposed to conservatives. "It seems to be if they're conservative, if they're Republicans, if they're in a certain group, there's discrimination, and big discrimination," Trump added. It's also notable that Mueller has indicted three Russian entities and 13 Russian nationals in connection with Moscow's operation to use social media to interfere in the 2016 election, sow political discord and elect Trump. Rosenstein sees himself as the "heat shield" since he appointed Mueller, and could be in position to take the "hit" if controversy explodes when the report drops, the source said. CNN's Kevin Collier, Marshall Cohen, Erica Orden, Pamela Brown, Sara Murray, Jeremy Herb, Manu Raju, Katelyn Polantz and Kara Scannell contributed to this report. Three years ago today, the personal email account of the chairman of the Clinton campaign, John Podesta, was hacked by an elite unit in Russia’s military intelligence service, the GRU. (Full disclosure: he is the founder of CAP Action, which you probably already know). This hacking effort was part of a yearlong campaign by Russian intelligence directed against the Clinton campaign and Trump opponents, an effort that left zero question about the prevalence of interference in the 2016 election. There were two campaigns to elect Donald Trump in 2016: a campaign run out of Trump Tower (the Trump campaign) and a campaign run out of the Kremlin (the Russian campaign). In the three years since the Podesta hack, Mueller’s wave of indictments detailed just how massive the Russian campaign was. The Russian campaign often had the resources of a presidential campaign, with the added advantage of being bolstered by the immense capabilities of Russia’s intelligence services. Russia had a digital team the size of a modern presidential campaign: Housed in the St. Petersburg-based Internet Research Agency (IRA), the Russian campaign had a digital wing that was roughly the size of the Clinton campaign’s digital team based in Brooklyn. The Russians exploited the openness of social media platforms like Facebook, Twitter, YouTube, and Instagram to spread disinformation online and helped to promote Trump. Estimates indicate that the IRA employed anywhere from hundreds to a thousand They also had 80 people just devoted to influencing the US population, which was about the same size of the Clinton campaign’s digital team. Russia’s digital campaign had a multi-million dollar budget, funded by a close Putin ally, who has been indicted and sanctioned. The project to interfere in the US had a $1.25 million monthly budget in 2016. Russia’s digital campaign was influential on social media, with some accounts gaining more than 100,000 followers. The IRA set up fake personas on social media platforms, deploying politically-driven messages that sought to bolster Trump, sow discord, and amplify extremist voices. For example, the IRA-twitter account @TEN_GOP falsely claimed to be the Tennessee Republican party and gained more than 100,000 followers. For example, the IRA used the Facebook group “Being Patriotic” and the Twitter account @March_for_Trump to coordinate a series of rallies in Florida. They even paid people to build a cage and wear a prison uniform pretending to by Hillary Clinton. Russia’s digital campaign conducted reconnaissance missions to prepare for the election. Operatives from the IRA visited the U.S. as early as 2014 to prepare for the election, going to and collecting intelligence in Nevada, California, New Mexico, Colorado, Illinois, Michigan, Louisiana, Texas, New York, and Georgia. Russia also used traditional propaganda outlets like Russia’s state-owned channels RT and Sputnik. These were used to elevate and amplify stories, spread disinformation, and to provide a platform for third-party candidates like Jill Stein. Russian intelligence engaged in a massive cyber hacking campaign, targeting 76 Clinton campaign staffers. Russian hackers conducted extensive cyberoperations during the 2016 election cycle. They stole information from both Democratic and Republican targets – but only released information on Democrats. In April, Russian hackers breached DNC servers. They stole field operations research, DNC analytics, donor lists, and emails. Russian hackers were able to take screen shots and capture key strokes when DNC staff were at their computer. Russia released some, but not all, of the stolen content through WikiLeaks in a manner designed to help Donald Trump. The DNC emails were released on the Friday before the DNC convention, massively disrupting what was supposed to be a unifying event after a divisive primary. John Podesta’s emails were leaked on a Friday afternoon, just 29 minutes after the release of the Access Hollywood video. Russia used its intelligence assets as part of its campaign, particularly to liaise with the Trump campaign. Some were clear Russian agents knowingly working on Russia’s behalf, while others with previously known links may have acted unwittingly. The Trump campaign passed polling data to a suspected Russian intelligence agent. Konstantin Kilimnik was Paul Manafort’s right hand man and is suspected to have ties with Russian intelligence. Maria Butina sought to infiltrate the NRA and connect with key Republican leaders. According to her guilty plea, Butina said “circumstances were favorable for building relations with” the GOP, predicting in 2015 that whoever the Republican nominee was would win the election. The June 9th, 2016 meeting in Trump Tower that included Donald Trump Jr., Paul Manafort, and Jared Kushner was also attended by Rinat Akhmetshin, a Washington lobbyist and alleged former Soviet counter-intelligence officer, as well as a Russian government lawyer with ties to the Russian Prosecutor General. Joseph Mifsud, a “Maltese professor,” informed the Trump campaign in April 2016 that the Russians had “thousands of emails” and had “dirt” on Clinton. A suspected Russian agent was on the Trump campaign. Carter Page, according to the FISA warrant released in the Nunes memo, was suspected by the FBI to be a Russian agent. He traveled to Moscow during the campaign, delivering a foreign policy speech that parroted Kremlin talking points. These three lines of effort created a powerful and robust Russian campaign to elect Donald Trump. And there was no bright line separating the Russian campaign from the Trump campaign. They were in constant contact, with at least 28 meetings and more than 100 contacts between Trump officials and Kremlin-linked figures. Three years since the Podesta hack, the Trump administration’s inaction in response to such a massive attack on our democracy continues to be a national security risk. But if Mueller hasn't looked at Trump's relationship the German bank, Schiff said, "they have not done a diligent investigation of money laundering.". Continue reading "Crime and Criminology from Michael_Novakhov (8 sites): “political crimes” – Google News: Former FBI Director James Comey explains why it’s so hard to prosecute white-collar criminals, as 2020 Democrats slam ‘two systems of justice’ – CNBC"
German politicians have reacted with fury after the U.S. ambassador criticised Berlin's plans to cut defence spending. Richard Grenell slammed Germany's 'worrisome' budget plans which would see military outlays fall well below the NATO target of two per cent of GDP. His comments were the latest flashpoint in a long-running row with Donald Trump, who has accused NATO allies of expecting a 'free ride' on Washington's military might. Grenell - who has frequently clashed with Berlin - is now facing calls to be expelled as U.S. envoy. 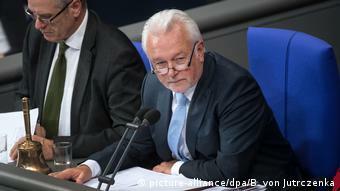 Wolfgang Kubicki of the liberal FDP party demanded that Grenell be declared 'persona non grata', Der Spiegel reported. 'Someone who acts like the high commissioner of an occupying power needs to learn that there are limits to our tolerance,' he said. Social Democratic Party whip Carsten Schneider called Grenell a 'brat' and a 'total diplomatic failure', according to German media. 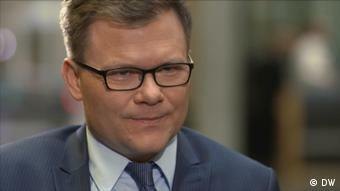 His party colleague Johannes Kahrs said it was 'unbelievable who can become a U.S. ambassador these days'. 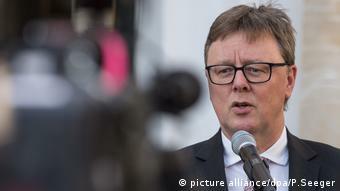 Fellow SPD member Ralf Stegner said: 'Mr Grenell behaves in the way you expect from the Trump administration: uncouth, boorish and politically unsuited to the role. Left Party MP Helin Evrim Sommer said: 'The expulsion of the Trumpist Grenell from Germany is overdue. 'Someone who meddles in the internal affairs of other states like a feudal lord disqualifies themselves as a U.S. ambassador'. During the 2016 presidential campaign Trump said some NATO allies were 'getting a free ride', calling it 'unfair'. Germany's finance ministry had yesterday presented its budget planning for coming years, which signalled a drop. While German defence spending went up from $45 billion to $50 billion last year, the growing economy meant the figure relative to GDP stayed flat at 1.23 per cent. Chancellor Angela Merkel pushed back against the U.S. criticism by arguing that Germany was as focused on foreign aid as on military spending. 'We have always said that we're headed in the direction of two percent, and that by 2024 we will reach 1.5 percent,' she said. 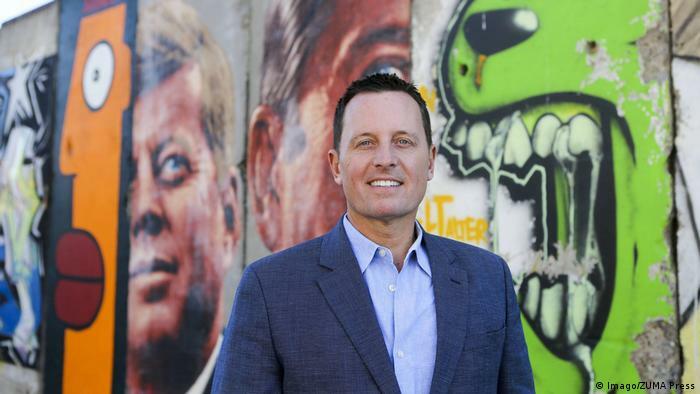 Grenell took up his Berlin posting on May 8 last year. The envoy immediately irked Germany when he tweeted that day that German companies should stop doing business with Iran, after Trump tore up the nuclear deal. Recently he appeared to threaten that the U.S. would cut back its intelligence co-operation with Germany if Berlin used Chinese firm Huawei in its 5G telecome infrastructure. I’ve written about Deutsche’s assessment of Trump’s wealth a number of times more recently, including in 2015, when Trump announced his presidential run, and last November, after German police raided Deutsche’s Frankfurt headquarters as part of a money-laundering probe connected to the Panama Papers scandal. Deutsche is back in the news this week. 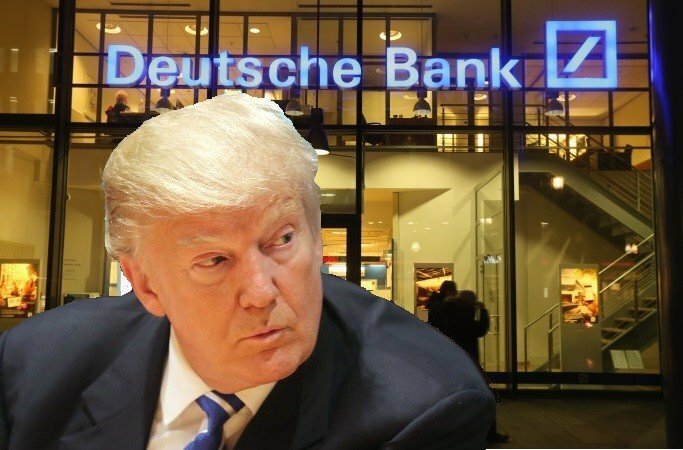 With the House Financial Services Committee, the House Intelligence Committee and the New York state attorney general all examining Trump’s relationship with the bank, the New York Times published a comprehensive account Monday evening of many of Deutsche and Trump’s business dealings and lending arrangements. The Trump SoHo hotel, which stripped Trump’s name from the property in 2017, was financed in the mid-2000s in part with loans channeled through Icelandic banks that collapsed during the financial crisis. I’ve written extensively about Trump’s involvement with the firm originally behind that project, Bayrock Group LLC; one of Bayrock’s executives, Felix Sater; and about murky funds from Europe that were channeled into the project. While Deutsche was closely involved with Icelandic banks at the time of the collapse, no information has surfaced indicating the bank had a direct role in the Trump SoHo debacle. Deputy Attorney General Rod Rosenstein will stay at the Justice Department “a little longer,” according to a senior department official. Rosenstein – previously responsible for overseeing special counsel Robert Mueller’s investigation into Russian electoral interference and alleged collusion with Trump campaign – had previously indicated that he would leave in mid-March, noting during a public appearance on March 7 that it would be one of his final speeches, Julia Ainsley and Pete Williams report at NBC. Rosenstein recently discussed his upcoming planned departure with Attorney General William Barr,after which it was decided that he would stay on a short period, according to the official. Rosenstein’s departure has been tied by many to the completion of Mueller’s report, Darren Samuelsohn and Josh Gerstein report at POLITICO. Mueller began investigating President Trump’s former personal lawyer Michael Cohen nearly a year before the F.B.I. raided Cohen’s properties in New York last April, according to documents unsealed yesterday. The heavily redacted documents, released by prosecutors in response to a court order, indicate that the F.B.I. 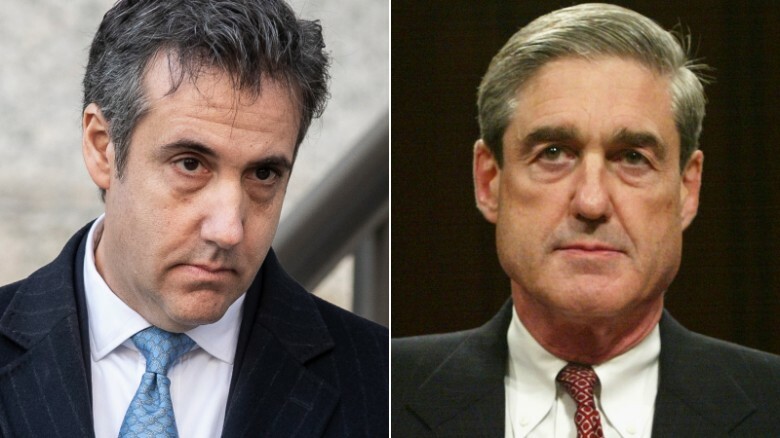 sought and obtained warrants to search Cohen’s electronic communications as far back as July 2017 and suspected Cohen as potentially acting as an unregistered foreign agent, Morgan Chalfant, Jacqueline Thomsen and Olivia Beavers report at the Hill. Prosecutors working for Mueller yesterday cited the “press of other work” when asking a judge to give them until April 1 to respond to the court about a request from The Washington Post to unseal records in former Trump campaign chair Paul Manafort’s criminal case. In a two-page filing, Deputy Solicitor General Michael R. Dreeben and prosecutor Adam C. Jed stated: “counsel responsible for preparing the response face the press of other work and require additional time to consult within the government;” a response had been due March 21, Spencer S. Hsu and Matt Zapotoskuy report at the Washington Post. “The complete refusal by the Trump White House to produce any documents or witnesses to the primary investigative committee in the House reflects a decision at the highest levels to deny congressional oversight altogether,” Chair of the House Oversight and Reform Committee Elijah Cummings (D-Md.) writes in an Op-Ed at the Washington Post. The Committee has written a number of letters to the White House on issues including coordination with Russia and the provision of security clearances. Women on the D.C. federal bench are playing a critical role in the Trump-Russia developments. Carrie Johnson explains at NPR. An updated list of substantive documents in cases related to the Russia investigation is provided at Just Security. The Trump administration reportedly intends to start pulling back on a controversial plank of U.S. immigration policy, announcing yesterday it will stop sending some migrant families who illegally cross the border in Texas’ Rio Grande Valley to jail. Starting this week, hundreds of families caught each day in that area are set to be released by Border Patrol agents, instead of being handed over to U.S. Immigration and Customs Enforcement for potentially more lengthy periods of detention, according to government officials, Alicia A. Caldwell reports at the Wall Street Journal. The Supreme Court ruled yesterday that certain immigrants who have served jail sentences must be held without bail during deportation proceedings, marking the second 5-4 decision in a year to adopt the government’s broad definition of “aliens” subject to mandatory detention. Jess Bravin reports at the Wall Street Journal. U.S.-backed Kurdish-led forces from the Syrian Democratic Forces (S.D.F.) yesterday wrested control of an encampment held by the Islamic State group (I.S.I.S.) in eastern Syria, after hundreds of militants surrendered overnight, with the development heralding the group’s collapse after months of fierce resistance. The taking of the camp marks a major advance but not the final defeat of I.S.I.S. in their final stronghold of Baghouz, according to S.D.F. spokesperson Mustafa Bali, Philip Issa reports at the AP. “This is not a victory announcement … but a significant progress in the fight against [I.S.I.S,]” Bali stated on a message sent on Twitter, claiming that clashes were ongoing and that fighters remain “in several pockets and their presence is not limited to a defined geography.” Reuters reports. During yesterday’s operations the S.D.F. captured a group suspected of organizing the Jan 16 bomb attack that killed four U.S. citizens and a number of allied Syrian militia fighters, Bali announced. In a message sent on Twitter, Bali claimed that the S.D.F. had used “technical surveillance” to find and arrest the suspects, Ben Hubbard reports at the New York Times. An account of the S.D.F.’s progress against I.S.I.S. fighters in eastern Syria is provided at AFP. Israeli Defense Force (I.D.F.) soldiers killed three Palestinian individuals in two separate incidents last night, according to Palestinian health ministry and emergency services. One of those killed – Omar Abu Leila (19) – was suspected of carrying out a deadly stabbing-and-shooting attack in the occupied West Bank two days earlier; in a separate incident two more Palestinians were shot dead by Israeli soldiers in the West Bank, Al Jazeera reports. Israel and the U.S. have successfully intercepted a series of medium to long-range ballistic missiles in the course of a joint drill. The missile test in southern Israel was conducted yesterday by the Israeli Ministry of Defense along with the U.S. Missile Defense Agency and Israeli defense technology company Rafael, the AP reports. An analysis of the striking similarities between Israeli Prime Minister Benjamin Netanyahu and President Trump is provided by Loveday Morris and Ruth Eglash at the Washington Post. 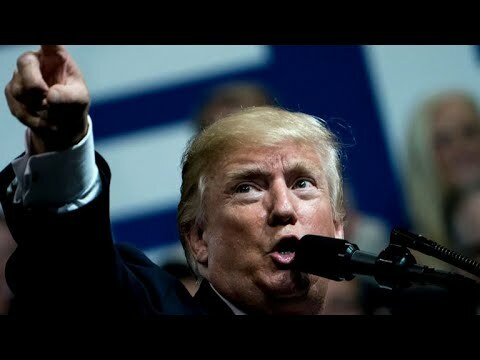 U.S. President Trump said yesterday that the U.S. could impose harsher sanctions on Venezuela in its campaign to remove incumbent President Nicolás Maduro. Recent power outages across Venezuela illustrate that “something terrible is going on down there” and “we need to put an end” to the current situation, Trump remarked during a joint news conference with Brazilian President Jair Bolsonaro at the White House, Christopher Torchia reports at the AP. High-level U.S.-Russian talks regarding defusing the Venezuelan crisis ended yesterday at an impasse,with the two sides still at odds over the legitimacy of Maduro. “No, we did not come to a meeting of minds, but I think the talks were positive in the sense that both sides emerged with a better understanding of the other’s views,” U.S. special representative Elliot Abrams told reporters, Reutersreports. President Trump claimed yesterday that social media platforms discriminated against members of his party, and accused the organizations of collusion. “It seems to be if they’re conservative, if they’re Republicans, if they’re in a certain group, there’s discrimination, and big discrimination, and I see it absolutely on Twitter and Facebook … and others,” Trump said during a joint White House news conference with Brazilian President Jair Bolsonaro, adding “we use the word ‘collusion’ very loosely all the time, and I will tell you there is collusion with respect to that because something has to be going on,” Reuters reports. Homeland Security Secretary Kirstjen Nielsen yesterday urged private companies to increase efforts to help the federal government identify new cyber threats, claiming that the administration is unable to do so alone. “We need you to focus again on the future of cybersecurity,” Nielsen said, adding “I’ll keep coming back to that because that’s what keeps me up at night is that the rate at which threats and risks are emerging is outpacing our ability to identify, assess and address them,” Jacqueline Thomsen reports at the Hill. “A landmark legal battle that will unfold later this month in federal court in New York represents a welcome chance for freedom of expression to triumph over falsehood,” Just Security Editor Joshua Geltzer and Harvard Law School Professor Laurence H. Tribe write at POLITICO Magazine, having filed an amicus brief supporting litigants who have sued Trump for blocking free expression by blocking them on Twitter. Trump said yesterday he was strongly considering N.A.T.O. membership for Brazil as he welcomed Brazilian President Jair Bolsonaro to the White House. Reuters reports. Judge Colleen Kollar-Kotelly of the U.S. District Court for the District of Columbia yesterday ruled that said her injunction preventing the president’s transgender military policy from taking effect remains in place, just days after the Pentagon released a memo to implement the policy. In a three-page order, Kollar-Kotelly wrote that “defendants were incorrect in claiming that there was no longer an impediment to the military’s implementation of the [transgender policy] in this case,” Rebecca Kheel reports at the Hill. Trump said yesterday that the U.S. Supreme Court will stay at nine judges for at least the next six years. Asked during a Rose Garden news conference about the developing proposal among some Democratic presidential candidates to expand the Court, Trump ruled out the possibility, saying that if the court added justices, it would not be until after the end of his second term – and labelling Democrats hoping to expand the court as sore losers, Caitlin Oprysko reports at POLITICO. The post The Early Edition: March 20, 2019 appeared first on Just Security.